The family wants pizza. 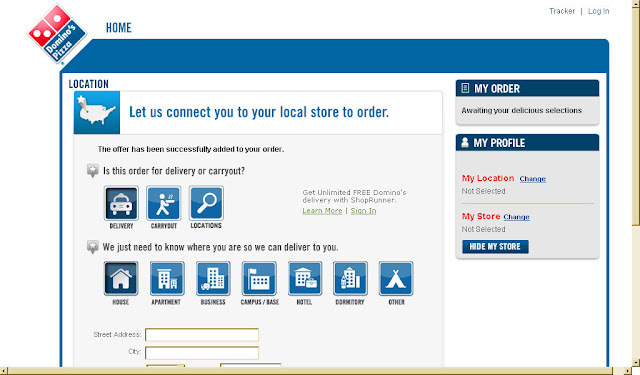 I visit Dominos.com. 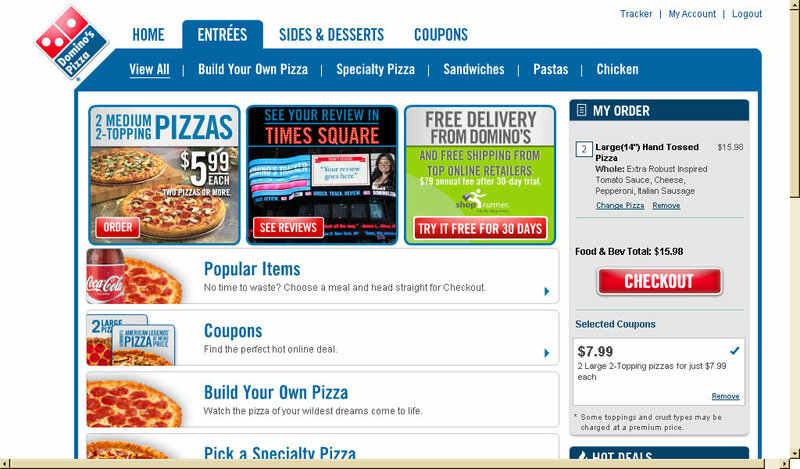 I see an ad at the bottom of the web page for 2 medium pizzas for $5.99 each. I click the "Order this deal" button. 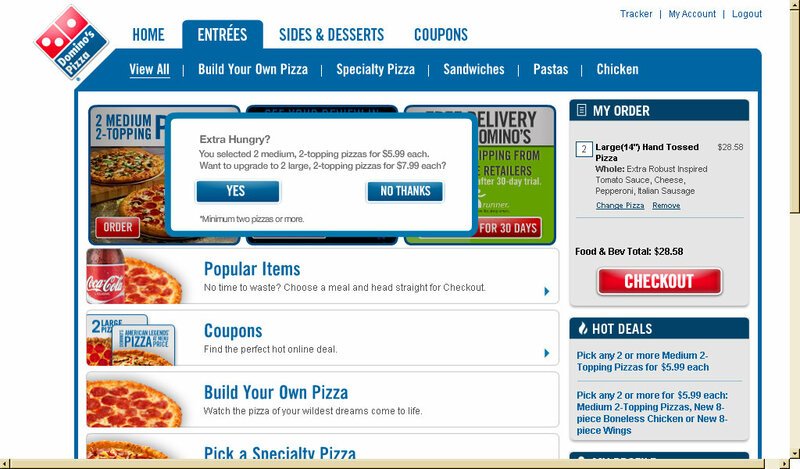 A dialog box appears, asking if I want to upgrade to large pizzas for $7.99 each. I click "Yes". A web page loads asking me to identify my location. 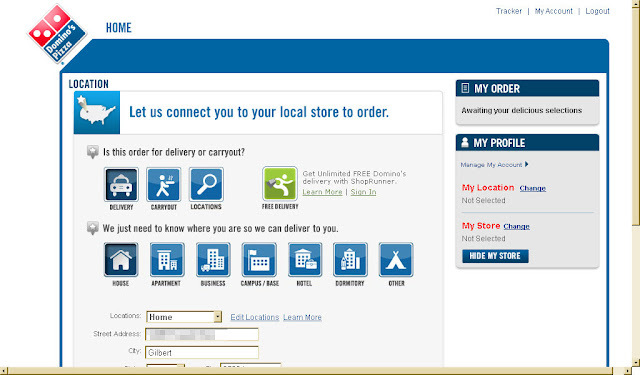 I click the tiny "Log In" link at the top right to log into my account and use one of my saved delivery locations. 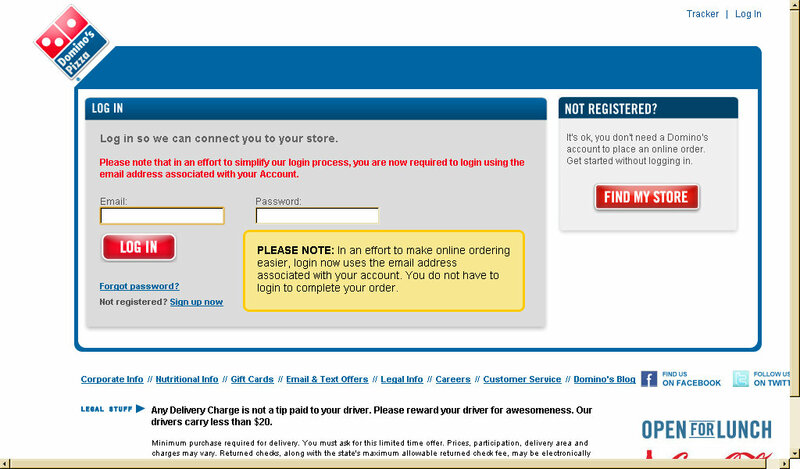 I enter my email address and password, and click the "Log In" button. I am returned to the location entry page. I select a location, and then select the "Build Your Own Pizza" feature. 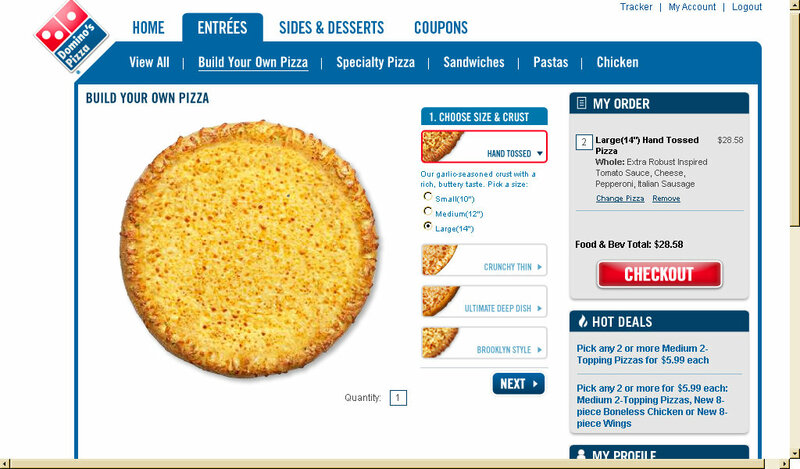 I build a pizza and add two of them to my order. I check the price. I expected $7.99 times two to be much less than $28.58. It appears that the process of logging into my account canceled out the special price I had selected. (I later tested this and confirmed that if I don't login, the special price is applied.) Had I not been paying attention, I may have ordered at a much higher price than expected. So, to get the special price selected from the home page, a user who logs into an existing account must go back to the home page, or the "View All" option and re-select the special offer. I re-select the special deal, and presto chango... the price drops in half - almost. I thought that the option to login to an existing account with save preferences was supposed to make ordering easier.